XP-RS is a company that focuses on providing digital mapping and engineering data services for electric and gas utility companies. The majority of its products and services are composed of digital maps, photo & video imagery and databases derived from airborne remote sensing technologies. Although LiDAR is a key component in many projects, XP-RS also utilizes Aerial Photography (orthophotos) Videography and traditional Still Photography to develop high-quality data sets. Geospatial products such as maps and databases are invaluable tools in the effective management and design of utility infrastructures. In addition, the twenty-first century regulatory oversight of FERC and OPS accelerate the need for fast, accurate, reliable (auditable) data. This is our niche! XP-RS works with each of its clients to develop and define a scope of work, data acquisition requirements and final data delivery specifications on a case-by-case basis. A USA-based company, XP-RS does not utilize off-shore labor for any of its data acquistion or data processing activities. 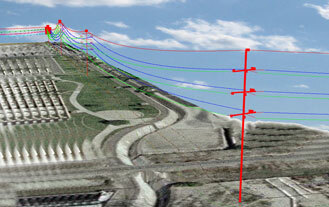 XP-RS provides Geospatial data products and services to Electric and Gas Utility companies. Support is also provided to Engineering Consultants that specialize in serving the same customer-base. 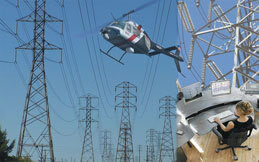 XP-RS provides services throughout the continental United States & Canada.